1. Skin the daikon and then cut it into half-rounds 1.5 cm thick. 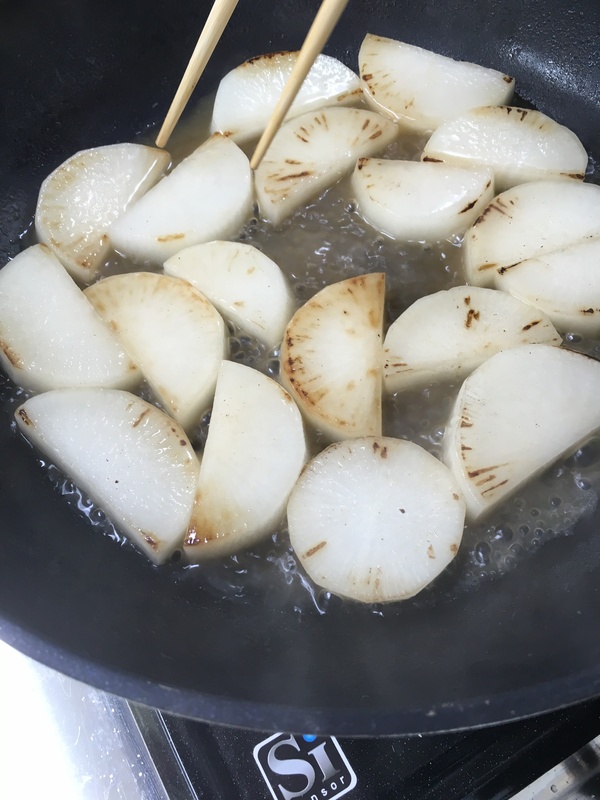 If the daikon is particularly fat, cut it into quarter-rounds 1.5 cm thick. A key point is to wind up with a number of pieces you can divide into four equal portions. 2. 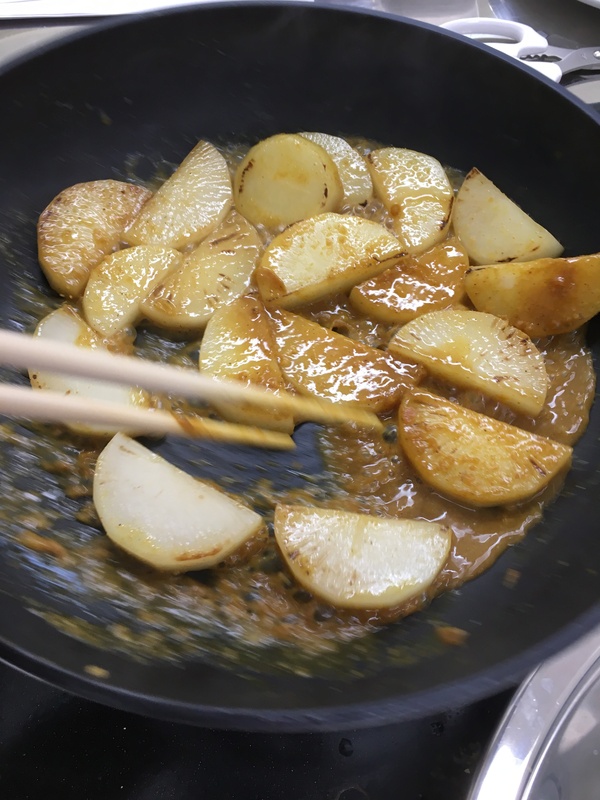 Place a frying pan on medium heat, add the sesame oil, and then brown the daikon pieces. 3. Add the water (200 ml) and instant stock, cover and reduce to low heat for 4-5 minutes. 4. Now, add the miso and hon mirin and increase to medium heat. Once the miso and hon mirin are thoroughly combined with everything else in the frying pan, add the katakuri flour solution to thicken. 5. Serve in bowls and top with finely chopped leeks.